Distance education has been steadily gaining in popularity, but it is one thing when it's just video tutorials, the other thing when it's full lecture with the ability to participate in discussions, ask questions to the lecturer and so forth. Installing BigBlueButton in conjunction with Moodle & mdash; common solution in view of the simplicity of the engine, its free distribution (it's free) and the availability of an integration module. Another possibility to optimize business processes and save money. One of the fundamental differences between e-learning from the standard full-time education is the variety of presentation forms. Distance learning allows you to use e-mail, Skype, upload documents in electronic form, organize interactive testing, etc. But one of the most important and essential educational formats are lectures and analysis of material teacher who combines and sound and visual information. Such a form of cooperation between relevant for the organization of business processes. For example, he comes to the rescue when you need to organize a meeting between remote branches. 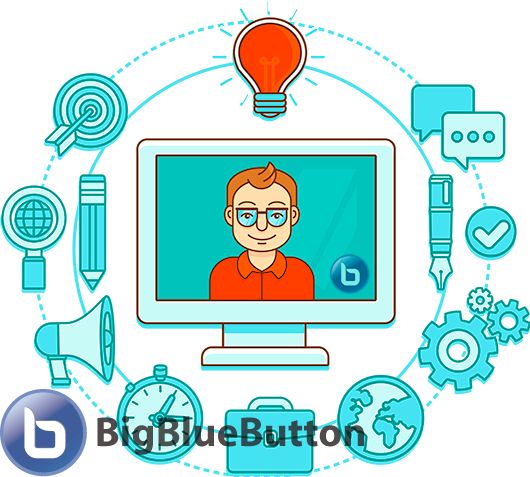 Implement the outlined tasks allows free software with open source BigBlueButton, intended for web conferencing. Its numerous advantages make it the best option organization of lectures and online webinars. 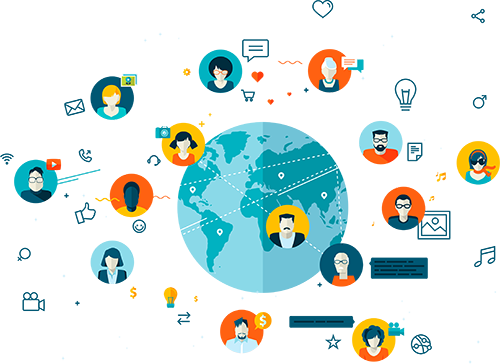 The use of free open source software significantly reduces the cost of the implementation phase LMS. That’s why LMS-Service uses for their projects LMS Moodle, CMS WordPress and BigBlueButton. But the financial time is not the only advantage of this application for web conferencing. 1. Simplicity. BBB — unpretentious software ready for minimal work immediately after installation. It is equally convenient and lecturer, and students, as well as does not require additional installation on client machines. But if you need management capabilities — professional improvement needed. 2. Variability. Flexible to changes and software configurations maximizes adapt existing tools for their own purposes. 3. Functionality. The program allows you not only to broadcast video from webcam classroom, and provides the ability to communicate in chat, webcams connect listeners, two-way voice communication, and more. business organizations appreciate the opportunity to show presentations and share files. Sure, everyone will be useful recording function, as well as general and private chats. Additional settings allow you to make the lead-moderator. Since it is possible two-way voice communication, students can ask questions in real time, and the moderator toggles demonstrations and pass the word. At the base deployment BigBlueButton ready to use, but the functions of administration and management will be absent. For these purposes, a more serious work in programming, in order to integrate the BBB and Moodle. And in this case, can not do without professional help. LMS-Service company, with an impressive experience with these systems, can easily cope with this task. Since the software is free, you only pay services to install, configure, and possibly support, so the final cost will be significantly lower compared with the introduction of proprietary implementations. In addition, for continuous and synchronous work will require a powerful and fast server. Our company provides a dedicated server or a portion of the server with the necessary parameters and configured specifically for the installation of BBB.